AREAWIDE – “An Evening of Words with Friends – Minus the Electronics” is being hosted by Literacy Volunteers Valley Shore on Wednesday, April 27, starting at 5:30 p.m. The event, to be held at the First Congregational Church of Madison Meetinghouse at 27 Meetinghouse Lane, Madison, features a unique format you have to see to believe. Prizes will be awarded. A donation of $25 per player is requested. Proceeds will benefit the Literacy Volunteers’ free English tutoring and workplace literacy programs. Light refreshments will be served. Call Literacy Volunteers Valley Shore at 860-399-0280 or go to vsliteracy.org for more information. 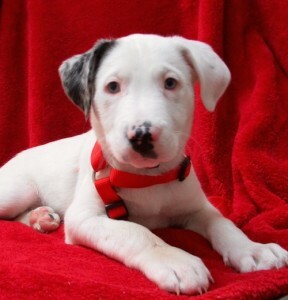 The Red Dog Project will host an Adoption Event Saturday, April 25, from 12 to 3 p.m. at PetValue (in the Kohl’s plaza), 28 Spencer Plains Road, Old Saybrook, Conn. The dogs offered for adoption will be shelter dogs lovingly rehabilitated by the women inmates at York Correctional Facility in Niantic, Conn. The Connecticut River Museum’s spring exhibit, New Deal Art Along the River, opens April 2. This painting, On the Rail by Yngve Soderberg is a watercolor on paper on loan from the Lyman Allyn Art Museum. Photo courtesy of Lyman Allen Art Museum. During the depths of the Great Depression, the federal government created work relief programs to put unemployed Americans back to work. President Franklin D. Roosevelt’s “New Deal” programs provided all types of jobs – including opportunities for out-of-work artists. The Federal Art Project (1935 – 1943) paid artists to paint murals and easel art, sculpt, and teach art classes. Their art was always located in a public place such as a school, library, or government building so that all Americans had access to it for inspiration and enjoyment. The subject matter for much of this artwork is known as the “American Scene” – showcasing regional history, landscapes, and people. 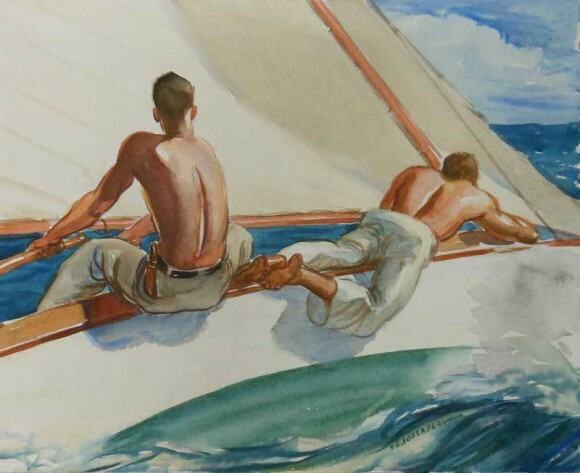 The Connecticut River Museum’s new exhibit has selected artwork that represents artists from the Connecticut River Valley, or that depicts views of regional or maritime traditions of the Connecticut River and coastline. The exhibit contains 20 works of art ranging from pastels, etchings, watercolors, and oils. There are also examples of bas relief work from Essex sculptor Henry Kreis who designed the state’s Tercentenary medal and coin in 1935 under the Civil Works Authority (CWA) funding. 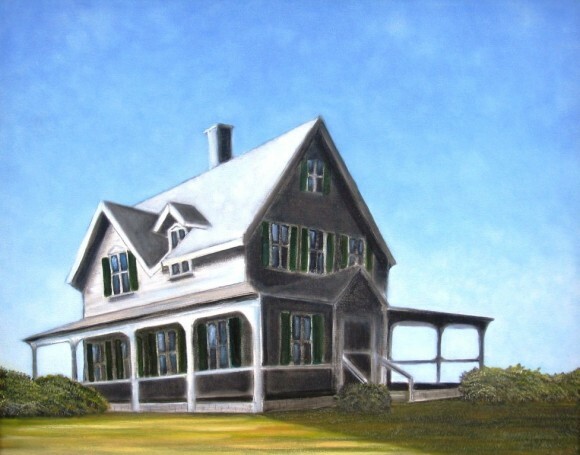 The paintings come from area museums such as the Lyman Allyn Art Museum, Mystic Arts Center, Connecticut Historical Society, and the Portland Historical Society, among others. The exhibition will open Thursday, April 2, with a preview reception at 5:30 p.m. featuring a short lecture by curator Amy Trout. The exhibition runs through June 22. The Connecticut River Museum is located at 67 Main Street, Essex and is open daily from 10 a.m. through 5 p.m. and closed on Mondays after Columbus Day. Admission is $8 for adults, $7 for seniors, $5 for children age 6-12, free for children under 6. From the Blues Hall of Fame to the historic Chester Meetinghouse comes John Hammond, a legend in the world of acoustic blues guitar. His concert, to be held Sunday, Nov. 18 at 5:00 p.m., is sponsored by the Collomore Music Series in its 39th season. Hammond has been likened by critics to Robert Johnson, combining powerful guitar and harmonica playing with expressive vocals. Tom Waits describes “John’s sound as so compelling, complete, and soulful it is impossible to imagine improving on it. He’s a great force of nature.” A seven-times Grammy nominee, Hammond was inducted into the Blues Hall of Fame in 2011. Concert tickets are $21. For students from elementary through graduate school, a ticket is $5. 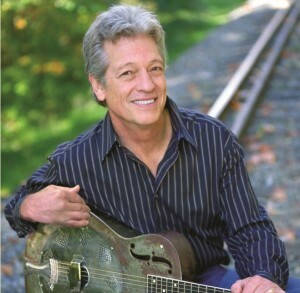 All ticket-holders are invited to stay for a reception after the concert to meet John Hammond. Ticket info: (860) 526-5162 or www.collomoreconcerts.org. The Chester Meetinghouse is located on 4 Liberty Street in Chester (Exit 6 off Rte. 9). The concert is sponsored by Essex Savings Bank and Essex Financial Services. Pictured – from left Beverley Taylor, Carl Howell and Kim Catano (photo by by Anne Hudson). 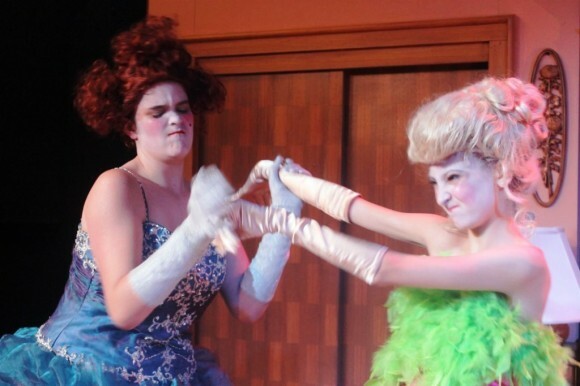 Ivoryton: Aprons are tied and ladles are readied for battle as the Ivoryton Playhouse suits up for the clash of the cooking show divas – THE KITCHEN WITCHES by Caroline Smith. Winner of the 2005 Samuel French Canadian Playwrights Contest, this hilarious comedy is just the recipe for a night of fun and merriment! Isobel Lomax and Dolly Biddle are two rival cable-access cooking show hostesses who have hated each other for 30 years, ever since Larry Biddle dated one and married the other. When circumstances put them together on a TV show called The Kitchen Witches, the insults are flung harder than the food! Dolly’s long-suffering TV-producer son Stephen tries to keep them on track, but as long as Dolly’s dressing room is one inch closer to the set than Isobel’s, it’s a losing battle, and the show becomes a rating smash as Dolly and Isobel top both Martha Stewart and Jerry Springer! Canadian playwright Caroline Smith has whipped up a hilarious tale that’s sure to please even the fussiest palate. Directed by Maggie Jennings, the show stars Beverley Taylor, Kim Catano*, Carl Howell*, and Casey McKeon. The set design is by Dan Nischan, lighting design by Marcus Abbott, and costumes by LisaMarie Harry. 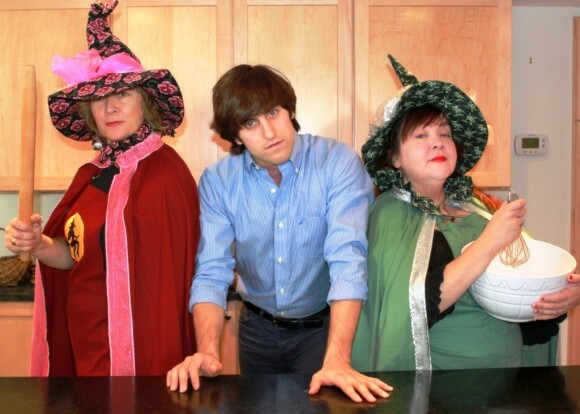 THE KITCHEN WITCHES opens in Ivoryton on October 31st and runs through November 11th. Performance times are Wednesday and Sunday matinees at 2pm. Evening performances are Wednesday and Thursday at 7:30pm, Friday and Saturday at 8pm. Tickets are $40 for adults, $35 for seniors, $20 for students and $15 for children and are available by calling the Playhouse box office at 860-767-7318 or by visiting our website at www.ivorytonplayhouse.org (Group rates are available by calling the box office for information.) The Playhouse is located at 103 Main Street in Ivoryton. Ask Silvia Gopalakrishnan why she is concerned about the health of our oceans and she’ll tell you, “I was sad that all of the sea animals were dying and I wanted to be a part of the action that was going on to protect them.” Hoping to raise awareness about the salt water that covers almost 70% of the earth and the life that lives in it, this Chester Elementary School student has created a presentation she hopes will encourage other young people to ‘take action…to stop people from carelessly polluting the ocean.” Silvia’s fun and informational program discusses the ocean, sea life and environmental threats such as oil spills and plastic bags. At the end of the power point presentation everyone will be able to make eco-friendly, sea-themed bookmarks to take home. Refreshments will be served. Intended for children ages 6-12, this program is planned for Monday, October 22 at 6:30 PM. Please call the library to register (860-526-0018). It’s your earth, come SEA what you can do to keep it healthy! Deep River, CT – Taste of the Valley 2012 is an evening of passionate chefs creating incredible appetizers and desserts to benefit Tri-Town Youth Services. Circle the date – Friday, September 7, 2012 at 6:00 pm – and get your tickets TODAY! Each year, our community gathers on a late summer evening on the beautiful grounds of the Deep River Historical Society to sample one tasty morsel after another from local restaurants and caterers. The 2012 Restaurants and Caterers are Apple Rehab Saybrook, Brushmill by the Waterfall, El & Ela’s, Essex Coffee & Tea, Gabrielle’s, La Vita Gustosa, Riverhouse at Goodspeed Station, Saybrook Soup and Sandwich, The Ivory Restaurant, Kathy Pindar from The Sweet Shoppe, Trapiche, and Truffle Shots. As part of the event, the Taste of the Valley Committee is excited to announce the theme for the silent auction, entitled “From The Hands of Our Community 2012: Harmony”. Every donated item or service in the auction will handmade or completed by hand inspired by the concept of “harmony”. There will also be a live auction. The live music will be provided by the Mass Conn Fusion. Tickets are $35 and can be purchased at Celebrations and Tri-Town Youth Services in Deep River or online. Note: This is event is for adults over the age of 21. TASTE OF THE VALLEY 2012 is generously sponsored by The Valley Courier, The Clark Group, Middlesex Hospital, Dr’s. Elgart, Pinn, Gordon & Elgart Optometrists, Essex Savings Bank, Tower Labs, PCi Medical, Tom Alexa, Safety Zone, Bogaert Construction and many other local businesses. For more information or tickets, contact Gail Onofrio at Tri-Town Youth Services at (860) 526-3600 or view our website: www.tasteofthevalley.blogspot.com. If you would like to be a sponsor or donate an item for our silent auction, send an email ttystov@gmail.com. “Opera in the Park” is a free concert presented by Salt Marsh Opera on Thursday, August 30 (rain date August 31), at 6:30 PM on the Old Saybrook Town Green, adjacent to the Katharine Hepburn Cultural Arts Center, 300 Main Street. Sponsors of “Opera in the Park” are the Connecticut Commission on Culture & Tourism, the Economic Development Commission – Town of Old Saybrook, and the Essex Savings Bank. Wilma Asch of Old Saybrook’s Economic Development Commission is the Event Coordinator. A long-long mural, The Founding of the State of Israel, 1948, by Connecticut artist Sanford Low and his colleague Walter Korder headlines an art exhibit opening September 10th at Congregation Beth Shalom Rodfe Zedek (CBSRZ) in Chester. The eighteen-foot mural was located by an agent for Jeff Cooley of the Cooley Gallery in Old Lyme, and Cooley loaned the artwork to CBSRZ for the exhibit. The CBSRZ exhibit also includes most of the surviving lithographs of Rachel Szalit-Marcus, a high acclaimed artist who was born in Lodz, Poland and died in a concentration camp. Her best-known works are illustrations for books whose authors include the famous Yiddish writer Sholem Aleichem. Szalit-Marcus’ work is on loan to CBSRZ by the Derfner Judaica Museum in New York. secretary at 860-526-8920 for group visits. This event is co-sponsored by the Jewish Federation of Greater New Haven. 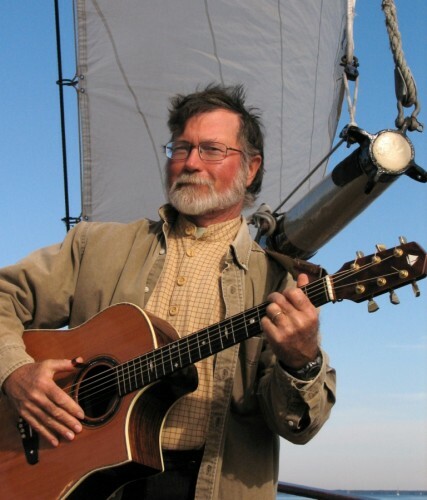 Essex, CT – On Thursday, August 16, maritime musician Geoff Kaufman returns to the Connecticut River Museum’s Thursdays at the Dock summer series to perform songs of the River and the sea. 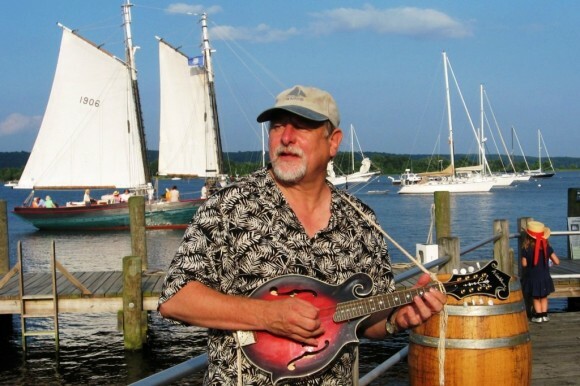 Skilled in a variety of string instruments, Kaufman is known for his traditional maritime music including sea chantey and ballads. His resume spans 28 years including 15 years as a member of the powerhouse quartet Forebitter, based at Mystic Seaport. He will also perform again on August 30. Now in its fifth summer season, “Thursdays at the Dock” extends the Museum’s daily hours by opening the first floor galleries, museum shop and North deck from 5:30 pm to 7:30 pm every Thursday evening through August 30. All are invited to sample the River’s great heritage and natural beauty while enjoying music and cocktails on the waterfront. Each week, featured area musicians perform a diverse mix of maritime folk, bluegrass, folk rock, and other popular styles. Admission is $5 per person, museum members are admitted free. Cash bar and light snacks will be available. For more information on Thursdays at the Dock, go to www.ctrivermuseum.org or call 860-767-8269. The Connecticut River Museum is located at 67 Main Street on the historic waterfront in Essex, CT.
John Berube of Chester: John studied art at a young age and painted through his early twenties. Picking up a brush again 12 years ago he studied with artist & author Maurice Sendak and is now concentrating on his love for local seascapes and marshes in a modern impressionistic style using acrylics. Lesley Braren of East Hampton: Enjoys doing work ranging from landscapes, still life and into abstract. Love of nature and experimenting with different media to capture the mood and the moment. 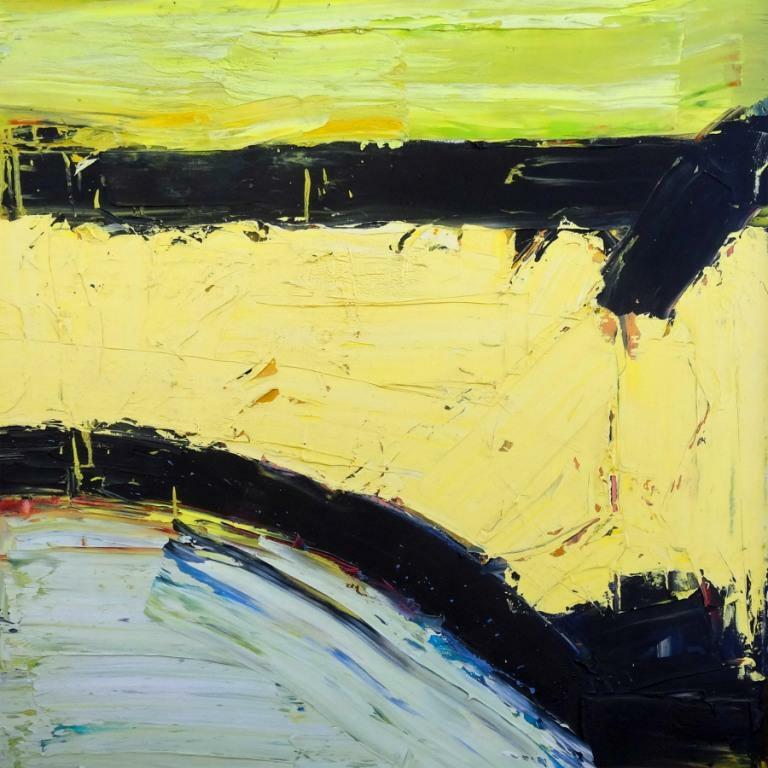 Rob DeBartolo of Centerbrook: Artist and printer explores his deep connection to color and it’s limitless possibilities through monotypes, poured inks, pastel, acrylics and collage from realism to minimalism. 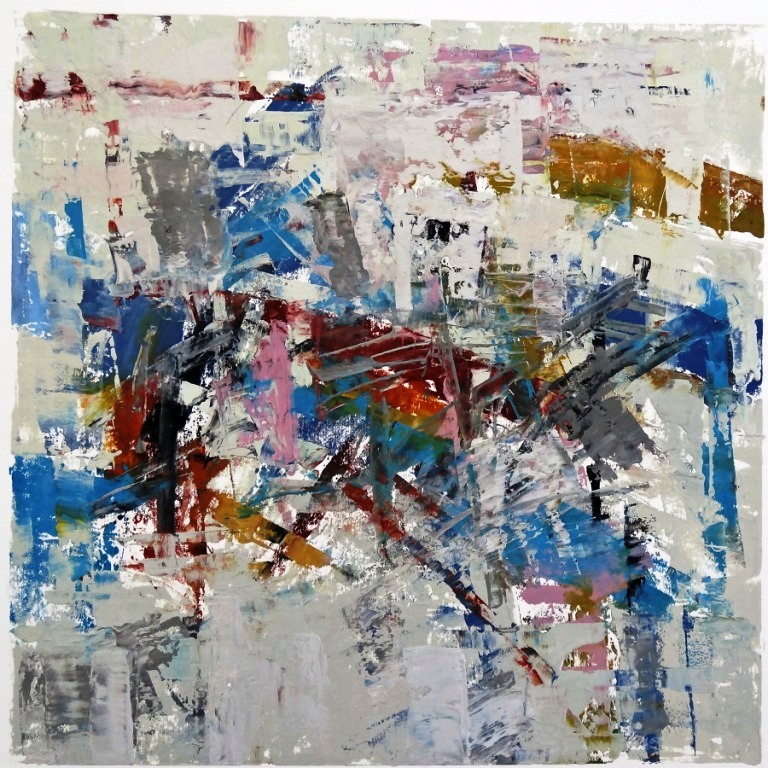 Deborah Quinn-Munson of Chester,: Composes and creates paintings filled with reflection, movement, color, depth, light & atmosphere, desiring to keep the message simple & clear with a feeling of peace & beauty. Working in pastel, oil. and watercolor. Opening Reception Sunday August 12 from 2-4pm. The Connecticut River Museum’s Family Maritime Festival and Concert, scheduled for Saturday, August 11, will feature maritime games and activities, schooner cruises and an evening concert. For more information, go to call 860-767-8269 or go to www.ctrivermuseum.org. Essex, CT – Gather the entire crew and head down to Essex’s historic waterfront on Saturday, August 11 for a boat load of family fun and entertainment. 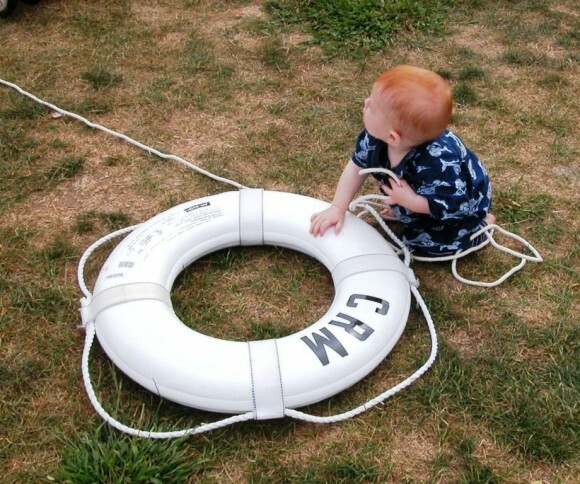 The Connecticut River Museum’s Annual Family Maritime Festival starts at 1 pm with maritime games and activities, all free of charge throughout the afternoon. Learn how to make rope, caulk a ship, or sing a sea chantey or two. And for those who want to get out on the water, the historic schooner Mary E will set sail at 1:30 pm, 3:30 pm, and 6:00 pm for a leisurely sail along the Connecticut River. Tickets for the 1.5 hour afternoon cruises are $26 for adults and $16 for children age 12 and under. Tickets for the two-hour sunset cruise are $30 per person, all ages. Advance reservations are recommended. 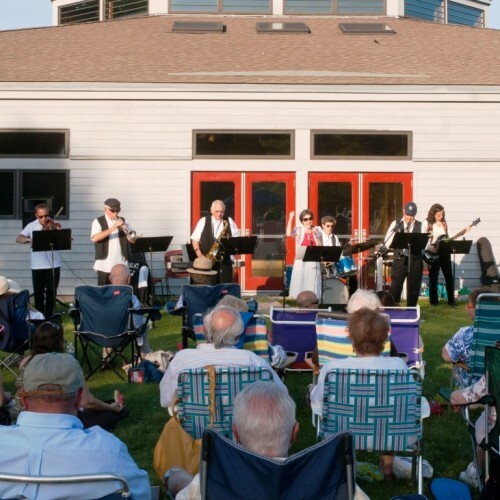 At 5:00 pm, the Connecticut River Museum’s Annual Picnic and Concert gets underway with all invited to bring a blanket or chair and picnic dinner to enjoy while listening to sea chanteys performed by the Freemen of the Sea and calypso party music performed by The Sun Kings. Wine, beer, and soda will also be available for purchase. Festival activities and concert are free of charge thanks to a sponsorship by Guilford Savings Bank. For more information on the day’s events, call 860-767-8269 or go to www.ctrivermuseum.org. Here’s a great opportunity to enjoy one Essex’s most scenic paddles! Join naturalist Phil Miller and kayaking enthusiast Kathy LaBella in touring around Thatchbed Island and venturing to Turtle Creek Cove on Thursday August 9. Learn about the area’s natural history and experience close-up views of birds and plants and the beauty of Middle and South Coves. Departure is promptly at 5 pm so participants should plan to arrive ahead of time to launch their canoe’s/kayaks. Open to paddlers of all ages, but basic experience in paddling is required. This is an Essex Great Outdoors Pursuit event. Launch from Essex Town Park on Main Street. Park behind the Post Office at 12 Main Street, Essex. Bad weather cancels. With nothing more than a truck full of props and his non-laced Adidas, Jester Jim takes the stage and starts his show. Young and old are glued to his every sound as he performs his amazing beatbox intro. Tuesday July 10, 3:30pm, Deep River Public Library. For more information call 860-526-6039. Ivoryton: Move over Baltimore! Ivoryton is the new home for Hairspray — the soultastic, hair hoppin’, dance-til-you-drop musical! It’s 1962 and big girl Tracy Turnblad has only one desire – to dance on the popular Corny Collins Show. When her dream comes true, Tracy is transformed from social outcast to sudden star, but she must use her newfound power to vanquish the reigning Teen Queen, win the affections of heartthrob Link Larkin and integrate a TV network – all without denting her ‘do! Cast includes Jill Sullivan as Tracy, Michael Barra* as Edna, Neal Mayer* as Wilbur, Karen L. Anderson* as Motormouth Maybelle and Justin Gerhard as Link Larkin. Directed by Jacqui Hubbard, choreography by JR Bruno and musical direction by John DeNicola. The set design is by Cully Long, lighting design by Marcus Abbott, and costumes by Vivianna Lamb. Music by Marc Shaiman, lyrics by Scott Wittman and Marc Shaiman and book by Mark O’Donnell and Thomas Meehan. Hairspray opens in Ivoryton on July 4th and runs through July 29th and runs for 4 weeks. Performance times are Wednesday and Sunday matinees at 2pm. Evening performances are Wednesday and Thursday at 7:30pm, Friday and Saturday at 8pm. Tickets are $40 for adults, $35 for seniors, $20 for students and $15 for children and are available by calling the Playhouse box office at 860-767-7318 or by visiting our website at www.ivorytonplayhouse.org (Group rates are available by calling the box office for information.) The Playhouse is located at 103 Main Street in Ivoryton. CENTERBROOK – Community Music School is pleased to present a chamber music concert featuring Neal Fitzpatrick, guitar, and Pamela Dubey Allen, flute, on Sunday, July 1 at 3 pm at the Centerbrook Meetinghouse, 51 Main Street, Centerbrook. Award-winning classical guitarist and composer Neal Fitzpatrick will perform original compositions and works by Villa-Lobos, Barrios and others. Special guest flutist Pamela Dubey Allen will join Neal for guitar and flute duets. Tickets are $10, students 12 and under are FREE. For additional information, please contact 860-767-0026. Sign up for vacation bible school at Deep River Congregational Church which will take place July 9 – 13. Join the VBS ~ Adventures on Promise Island, Where Kids Discover God’s Lifesaving Love! All children 4 years old through entering 5th grade are welcome to attend. Bible stories, crafts, games and snack are all part of this special week. Program runs from 9 am – noon. Registration forms are available in the church office or on-line at www.deepriverchurch.org – click on the Vacation Bible School link. Working families now have the option for childcare after the VBS program. Advance sign up is required and open donations are requested for care. For more information contact Chelsea Chiappa at 860-391-9112 or email vbs.drcc@yahoo.com. Meet an owl, other raptors, and even a tortoise who currently call the wildlife rehabilitation center, Horizon Wings, home. All are welcome to come hear these animals’ stories, learn their habits and ways to protect them. During this opening program, children will have the opportunity to sign up for the Dream Big summer reading incentive program. The program begins at 5:30, after which theme related refreshments will be served. Our reading incentive program is open to children preschool age and up and is designed to be flexible to fit your summer schedule, or lack thereof! Each week, as kids visit the library for books, stickers will be awarded for progress charts and “food” given to feed the baby owls. The more each child reads, the more they feed. At the end of the summer a full nest will help supply real food for the owls at Horizon Wings. As an added incentive, sweet treats will be in supply for the children too. Summer storytime for children ages 3-6 will include stories from BIG books, with crafts and games. These sessions will be held each Monday through August 6, at 10:30 AM. Be sure to register! Children ages 7-10 are invited to create Big Dream cards, ‘hopes and dreams’ collection boxes and more. These creative craft sessions will take place on Wednesdays at 3:30 PM. Register to reserve a spot. At 3:30, Cheryl Kling, CT author and illustrator, will visit to read her book, Nature’s Royal Tea Party. Younger children may attend the story reading. Children ages 7-10 are invited to stay and learn to create their own book with Ms. Kling. The author will have copies of her book available for sale. Join us at 3:30 PM as we explore two cases of murder most foul, in towns you know. Arsenic Under the Elms by Virginia McConnell is a non-fiction summer reading selection for JWMS students. Gather with your friends, talk, eat pizza …. and take care of that summer reading project! You’ll need to write a reflection of the book and discussion, not to exceed 250 words, to receive credit for this project. Sally Murray is your discussion leader. Margie Warner will entertain us at 10:30 AM with her program Dancing Dreams. Although this event is geared to 3-8 year olds this joyful, interactive music is wonderful fun for all ages. Refreshments will be served. Wednesday, August 15: Teen Book Discussion. Chosen from the VRHS non-fiction list, this book by Jon Ronson takes readers on a ”madcap journey” that includes visits with potential psychopaths as seemingly different as a former Haitian militia leader and a power-hungry CEO. Gather with your friends, talk and eat pizza …. and take care of that summer reading project! Wednesday at 3:30PM. Sally Murray, discussion leader. Registration is required for all programs. Space is limited so please sign up early. You may register by calling 860-526-0018 or at the library desk. All programs are generously funded by the Friends of the Library. Tri-Town Youth Services, at 56 High Street in Deep River, will offer summer play and parenting support groups led by Parent Resource Coordinator, Meredith Adler. Both groups will run on Wednesday from July 11 through August 20. Outstanding Ones, for ages 12 months to 24 months, will meet from 11 to 11:30 a.m. with a cost of $20 for Tri-Town residents and $25 for non-residents. Terrific Two, for children 24 months to 36 months, will meet from 9:30 to 10:30 a.m. with a cost of $25 for Tri-Town residents and $30 for non-residents. Please call 860-526-3600 or email Meredith@ttysb.org for more information and to register. With castles, kings, a dragon keeper, an Ice Sorceress, the Horn of Fire, two villagers, and a daring journey to save the entire kingdom, enjoy this spectacular adventure as we’re swept away to a world where dragons are real, dreams come true, and only the most daring of people will survive to tell the tale! Join Deep River Public Library as we learn about the science of Fire & Ice by telling a tale of Dragons & Dreams using experiments of flash paper, exploding bottles, “cool” dry ice, and much more. Wouldn’t dragon’s breath be an amazing sight!?! 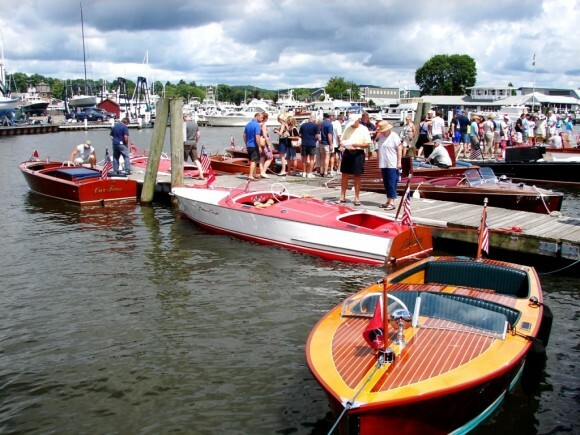 Essex, CT – The Southern New England Chapter of The Antique and Classic Boat Society will present the 28th annual “Mahogany Memories” boat show on the grounds and docks of the Connecticut River Museum on Saturday July 7 from 9:00 am to 4:30 pm. Admission is free. The show will feature numerous examples of the finest classic wooden and fiberglass boats commonly seen in this area in the last century. Boats built by Chris Craft, Century, Lyman, Gar Wood, Elco and many more will be showcased. Boat owners will be on hand to talk about their boats, exchange ideas and share the joys of using and preserving these beautiful “woodies” and other memorable classics. Also featured this year, Connecticut craftsman Schuyler Thomson will share his vast knowledge of wooden canoe restoration on the Museum’s waterfront lawn. He, along with Abby Burbank, will demonstrate both rib installation and planking on a “rough” canoe while discussing canvas replacement, steam bending, finishing, and other processes. This is an excellent opportunity to see and learn, first hand, from a professional restorer and builder who has worked on over 1000 boats. In addition, marine supplies, clothing and boat merchandise will be available for purchase and a raffle will be held at the end of the show. This year’s sponsors include Antique Boat Center, Ashcroft Inc., CCJ, Clark Group, Connecticut River Museum, Essex Savings Bank, Hagerty Collector Boat Insurance, Heritage Marine Insurance, ki Advertising, Middle Cove Marina, New England Chrome Plating, and Soundings. The Connecticut River Museum is located at 67 Main Street on the historic Essex waterfront. For more information on the Antique and Classic Boat Show and other Connecticut River Museum programs and events, go to www.ctrivermuseum.org or call 860-767-8269. The Ivoryton Library will offer its third House and Garden Tour: Through the Garden Gate on Saturday June 16, 2012, from 10-4pm. Making up this year’s tour are properties in Ivoryton and Centerbrook. This tour is unique in that it features gardens which, for the most part, have been created and maintained by the owners. Our Garden Tour gives you not only an opportunity to stroll through eight of these gardens but the homes of their owners, displaying their interior design talent as well. Tickets are $25 in advance and are available at the Ivoryton Library and at Gather of Ivoryton. Tickets will be sold on the day of the tour for $30 at the library only. Please call 860-767-1252 for more information. Madhatters Theatre Company is proud to support the efforts of the Middlesex County Community Foundation in helping to raise both awareness and funding in support of “TEAM AVERY”…Avery Rose Leopoldino , age 4, was born with a very rare genetic disorder called CDKL5. It will impair her everyday functioning for the rest of her life and she will require intensive 24 hour care. Avery suffers from daily seizures; she can not walk or talk; she is profoundly cognitively impaired and is cortically blind….Avery is known as a “silent angel” who is always happy and content wherever she is… She loves lights and music and she has gained tremendous admiration, love and support from so many members of our community…when purchasing tickets, if TEAM AVERY is mentioned, $1.00 from each ticket sold will be donated and proceeds from the concession stand will be donated to TEAM AVERY. These generous efforts will be used to promote both awareness and funding towards a cure and improvement in her quality of life….thank you for helping to make Avery’s dreams of happiness come true!! Essex Art Association, a non profit art gallery, is featuring its first Open Show of the season “Fluidity”. This is a show juried only for awards and will have a salon atmosphere with over 200 works displayed. The Exit Gallery features “Nantucket Island, Sconset Paintings” by Luisa Kreis Whiting a resident of Essex, working in oil her works have a hard-edged light that is reminiscent of Edward Hopper. Luisa is daughter of one of the founders of Essex Art Association, her father Henry Kreis was a well known sculptor with an international reputation. He was instrumental in forming the basis for the EAA being an organization that welcomes artists working in all mediums and expressing themselves from the traditional to cutting edge. His sculpture “Woman with a Bowl” may be seen in the entrance to the building. As always the public is welcome free of charge to the gallery and Reception Friday June 29. 2012 from 6-8 pm. Open Wednesday through Monday 1-5 pm June 30th. through July 21st. Essex Land Trust will host a Great Meadow Walk and Turtle Talk on Wednesday, June 27, from 5-7 p.m. at Pettipaug Yacht Club. Enjoy one of the Land Trust’s most stunning preserves with naturalist Phil Miller, leading our walk from 5:00-6:00 pm. 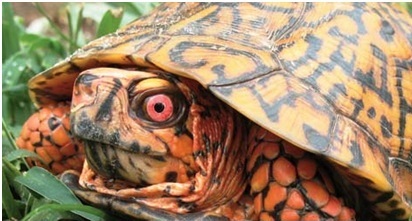 At 6:15, Kasha Breau, Connecticut Audubon educator, will join us at Pettipaug Yacht Club for a presentation: “Tremendous Turtles of Connecticut.” Kasha will show different land and water turtles, let you examine turtle shells and models and will talk about turtles that live in our area. She will also talk about their habitats and special concerns including what to do if you find a turtle. This is an Essex Great Outdoors Pursuit event. Rain or shine, with talk taking place indoors at PYC if weather is bad. BYO picnic to enjoy after the talks. Entrance to Pettipaug is located between 143 and 145 River Road, Essex. Star-crossed lovers Rodolfo (Rolando Villazón) and Mimi (Anna Netrebko) star in Puccini’s La Boheme at the Essex Library’s film series Monday Afternoon At the Opera June 18 at 2 p.m. The Essex Library’s Monday Afternoons At The Opera presents Puccini’s immortal La Boheme starring opera superstars Anna Netrebko and Rolando Villazón, on Monday June 18 at 2 p.m. in a feature film production directed by Robert Dornhelm. The Times called it “starry and sumptuous”, and Opera Now magazine raved “Breathtakingly dramatic and emotional…full to the brim with some of the best vocal talents of today”. The show is free and open to the public; for more information or to register please call the Essex Library at 860-767-1560. Carousel has captivated audiences around the world with the powerful love story of an innocent young millworker and swaggering carousel barker. He meets a tragic end but is given one chance for redemption by delivering hope to the daughter he never knew and whispering words left unspoken to his wife. Featuring “If I Loved You,” “You’ll Never Walk Alone,” and “June is Busting Out All Over.” Experience one of the most celebrated musicals of all time! Carousel features Music by Richard Rodgers and Book and Lyrics by Oscar Hammerstein II. It is based on Ferenc Molnár’s play Liliom as adapted by Benjamin F. Glazer. Original Dances are by Agnes de Mille. The cast will be led by Teal Wicks as Julie Jordan and James Snyder as Billy Bigelow. Ms. Wicks appeared in Broadway’s Wicked and Goodspeed’s 1776 and Pippin. Mr. Snyder appeared in Broadway’s Cry-Baby. Starkeeper will be played by Ronn Carroll whose numerous Broadway credits include Oklahoma, Annie Get Your Gun, How To Succeed…, Crazy For You, and Gypsy. Carroll’s Goodspeed credits include How To Succeed…, Camelot, 1776, and The Little Rascals. Carrie Pipperidge will be played by Jenn Gambatese who appeared in Broadway’s Is He Dead?, Tarzan, All Shook Up, A Year With Frog and Toad, Hairspray, and Footloose. Ms. Gambatese also charmed audiences as Annie Oakley in Goodspeed’s Annie Get Your Gun and All Shook Up at Goodspeed’s Norma Terris Theatre. Enoch Snow will be played by Jeff Kready of Broadway’s Billy Elliot: The Musical, Sunday in the Park with George, and Les Misérables. Ms. Mullin will be played by Deanne Lorette of Broadway’s La Bête. Nettie Fowler will be played by Anne Kanengeiser who appeared in Broadway’s Little Women and Ragtime. Jigger will be played by Tally Sessions of Broadway’s The House of Blue Leaves and Goodspeed’s Lizzie Borden at The Norma Terris Theatre. The ensemble includes Jessica Bishop (Broadway’s West Side Story and The Phantom of the Opera), Beth Crandall (Broadway’s West Side Story), Belle Doraz of Madison, Conn. as a Snow Child (Goodspeed’s Show Boat), Jennifer Evans (Broadway’s Ragtime and A Tale of Two Cities and Goodspeed’s Where’s Charley and Very Good Eddie), Eloise Kropp as Louise, Edward Lawrence, Leisa Mather, Jonathan Rayson as Mr. Bascombe (Broadway’s Little Shop of Horrors and A Year With Frog and Toad), Sam Rodgers, Michael Scirrotto, Jet Thomason (Goodspeed’s Show Boat), Travis Waldschmidt, Aaron Young (Goodspeed’s Annie Get Your Gun), and a Snow Child to be announced. The Swings are Maria Briggs and Andrew Scott Holmes. Carousel will be directed by Rob Ruggiero who helmed audience favorite Show Boat last season at Goodspeed as well as Irving Berlin’s Annie Get Your Gun, Camelot, Big River, and 1776. Mr. Ruggiero also directed Broadway’s High and Looped. Choreographer for this production will be Parker Esse who served as Associate Choreographer for Broadway’s Finian’s Rainbow and A Tale of Two Cities. Michael Schweikardt will be the Scenic Designer. His designs have been seen in Goodspeed’s Show Boat, Irving Berlin’s Annie Get Your Gun, Camelot, Big River, and 1776. Alejo Vietti will serve as Costume Designer. Vietti also designed Goodspeed’s Irving Berlin’s Annie Get Your Gun, Camelot and Meet John Doe at The Norma Terris Theatre. Lighting design will be by John Lasiter who served as Lighting Designer for Goodspeed’s Irving Berlin’s Annie Get Your Gun, Camelot, Big River, and 1776, and Broadway’s High. Sound design will be by Jay Hilton who is in his 26th season at Goodspeed. The Music Director for Carousel will be Michael O’Flaherty who is in his 21st season as Goodspeed’s Resident Music Director. F. Wade Russo will be Assistant Music Director. Orchestrations will be provided by Dan DeLange, who orchestrated Goodspeed’s Mame, Show Boat, My One And Only, How To Succeed…, Irving Berlin’s Annie Get Your Gun, 42nd Street, Singin’ in the Rain, The Boy Friend, and many more. Carousel will run July 13 through September 23, 2012 [Official Press Opening August 1, 2012]. Curtain times are Wednesday at 2:00 p.m. and 7:30 p.m., Thursday at 7:30 p.m. (with select performances at 2:00 p.m.), Friday at 8:00 p.m., Saturday at 3:00 p.m. and 8:00 p.m., and Sunday at 2:00 p.m. (with select performances at 6:30 p.m.). Tickets are available through the Box Office (860.873.8668), open seven days a week, or on-line at goodspeed.org. For show highlights, exclusive photos, special events and more visit us at goodspeed.org and follow us on Facebook, Twitter and YouTube. Essex, CT — Citing problems with unpredictable weather for the past few years with a fall show date, the Essex Automobile Club has announced plans to present its 5th Annual Antique and Classic Car Show on Wednesday, July 4. Various classes of pre-war cars, muscle cars, foreign sports cars, exotics and others will be on display for public viewing from 10:00 am to 2:00 pm at Hubbard Field located at 75 North Main Street in Essex. People’s Choice Awards will be given to the first and second place entries in multiple domestic and foreign car categories. Admission is $5.00 per person with children under age 12 admitted free. Information for owners of antique (pre-1982) or exotic cars who would like to enter the show should go to www.essexautoclub.com or send an email to “tim@essexautoclub.com”. 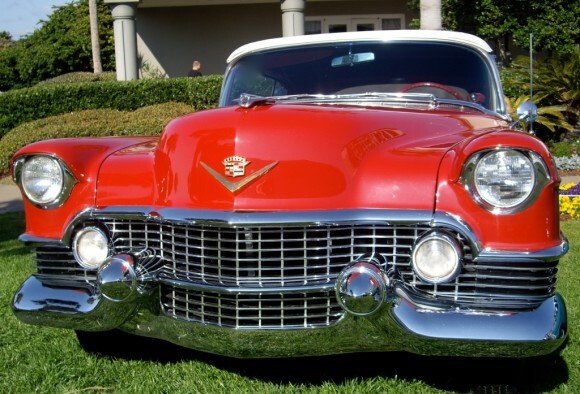 PHOTO CAPTION: This 1955 Cadillac Convertible is just one of the many beauties that have been invited to display at the 2012 Essex Antique & Classic Car Show on July 4th. Constant Waterman will appear at Deep River Public Library on Thursday June 14 at 6:30 p.m. to read excerpts from his four published books. Copies of his books are for sale at Anchor and Compass in Deep River. Constant Waterman, aka Matthew Goldman, the Stonington resident and Hadlyme native grew up on and around boats. He has had many trades and loves the sea. So it was no surprise that he turned to writing. The Lori Warner Studio/Gallery, will feature an installation entitled “In the Blossoms’ Shade” opening June 8, 2012. “In the Blossoms’ Shade” is an art installation about nature. It is a collaboration between Katherine Anderson and Pat Smith. Katherine Anderson is a Seattle artist with a background in landscape architecture. She will be working with natural materials. Pat Smith is a CT sculptor. She will be working in porcelain. Together they will create an intrinsic work of art reflective of Basho poetry and Wabi Sabi aesthetics. This is the first in The Lori Warner Studio/Gallery’s series of window installations by invited artists. The Lori Warner Studio/Gallery is a unique source for artwork and objects that make a lasting impression. Artwork featured in the gallery includes monotype prints, encaustic paintings, stoneware sculpture, one-of-a-kind jewelry, and custom letterpress notes. The gallery carries many exclusive pieces and regularly features guest artists that are pioneering creativity in their chosen medium. 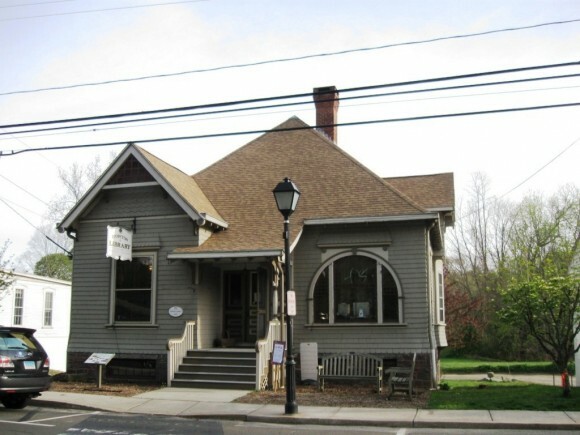 The gallery is located at 21 Main Street in Chester, Connecticut. (860) 322-4265. www.loriwarner.com. 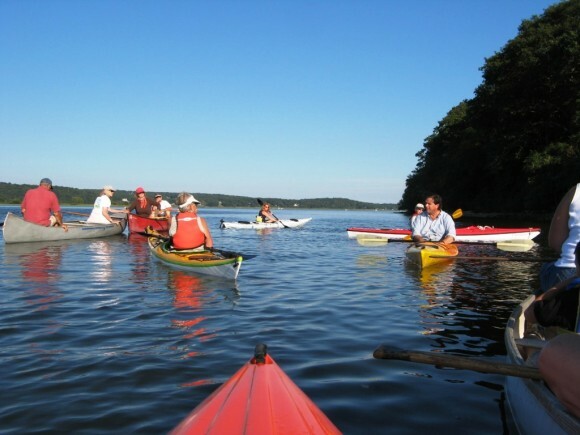 Essex, CT — On Wednesday, June 20, Connecticut River Museum and Connecticut River Watershed Council educators will team up and lead a free, evening paddle to celebrate the longest day of the year. All are invited to join the two-hour exploration of North Cove in Essex, a natural embayment to the Connecticut River featuring extensive tidal marshes, historic sites and other points of interest. The tour will launch at 5:30 pm at the Essex boat ramp at the foot of Main Street next to the Museum. Participants must bring their own canoe or kayak and life vest and are encouraged to bring a river-friendly snack and non-alcoholic beverage. Dogs are not permitted. The paddle is free but pre-registration is required and space is limited. To register, call 860.767.8269 ext.110 or email crm@ctrivermuseum.org. The Connecticut River Museum, a private, non-profit organization dedicated to preserving the natural and cultural heritage of the Connecticut River and surrounding valley region, is located at 67 Main Street in Essex. More information can be found at www.ctrivermuseum.org. 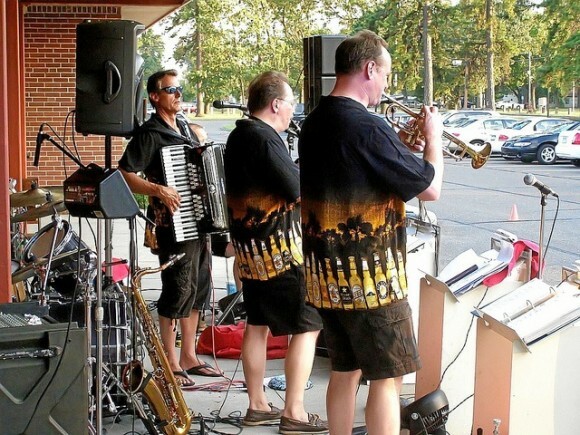 If it’s June, Congregation Beth Shalom Rodfe Zedek is cleaning off its grill and tidying the grounds for the annual picnic and Klezmer music concert featuring CBSRZ’s “house band,” A Klez Act. Its loyal fans will gather on Monday, June 25 at 6:30 p.m. on the synagogue’s lawn (weather permitting) with their folding chairs and blankets. The event is free and open to the public. Guests may bring their own picnic fare or purchase food and drinks. Fresh grilled kosher hot dogs and home-made foods, along with drinks, will be for sale with the proceeds going to the Shoreline Soup Kitchen. Klezmer music began as a musical tradition of the Ashkenazic Jews of Eastern Europe. It was created as dance music to celebrate weddings and other joyous occasions. Klezmer came to the U.S in the late 1800s with the arrival of these Jewish immigrants. Today, the music may also have bits of gypsy, Eastern European folk or French café music or American jazz. CBSRZ’s A Klez Act was founded in 1993 and plays on festive Jewish holidays and other special occasions. 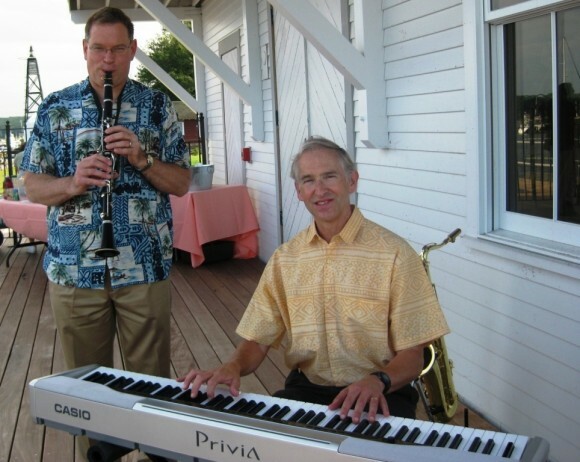 Band leader Norman Hanenbaum said, “We look forward to getting together on the lawn and playing Klezmer music. It’s the traditional music of the Jewish people–we want to keep it alive. We’re happy to play for the public.” He said the band will be playing songs that are typically Jewish, Yiddish or Israeli. The music will be upbeat, the kind that makes audiences feel happy, tap their feet and want to dance. Dancing is encouraged. Making their debut with A Klez Act at this year’s concert will be two talented young singers, Nicole Jubelirer, a UConn student, and Collin Schuster, a senior at Old Saybrook High School. 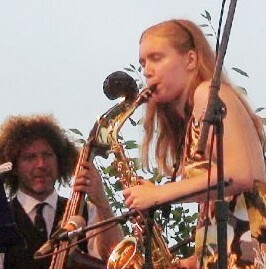 A Klez Act’s regulars are Hanenbaum on sax, Harvey Redak on trumpet, Neil Gottfried on clarinet, Lori Jubelirer on bass, Bill Bertelli on drums, Steve Jacobs on violin, Lary Bloom on keyboard and Belinda Brennan doing vocals. There is no charge for the concert, the last of the CBSRZ’s Music & More 2011-12 series. Guests should bring lawn chairs or blankets. In case of inclement weather, the event will be moved inside to the synagogue’s community room. Congregation Beth Shalom Rodfe Zedek is located at 55 East Kings Highway in Chester. For further information, call 860-526-8920.